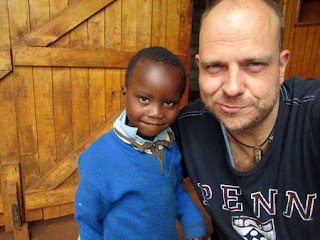 If you recall, last year I wrote a post about how Hollywood exec Norman Golightly (C'94, Mask and Wig) refocused his producing talents in the direction of an African orphanage. Norman lived at the rural Kenyan orphanage for a month last year, helping to raise funds for the development of the home which houses 50 kids who lost their parents to HIV/AIDS. As an amateur photographer he wanted to share his hobby with the kids and brought over donated cameras from the US and taught them the basics. 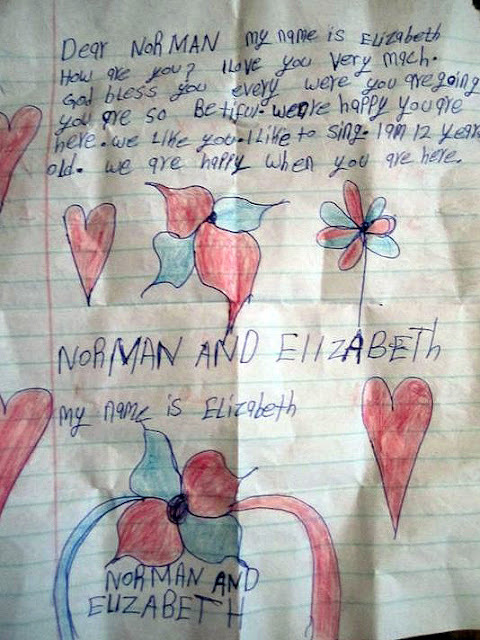 After the jump learn about Norman's return to Kenya this month, watch a very moving video as the children warmly welcome his return and see the moving letter he received from one of the children! Norman is now living there for another month with the goal of more photography, more fundraising and more awareness. When he returns to the US, he hopes to do an exhibit and/or book of their photography. Also, he tells me that generally the girls will slip notes in his bag -- sometimes slyly, "as if I'm not going to notice them doing it - sometimes very directly stating "it's important and i must read tonight". "They're generally saying thank you for being there. At the end of a long day reading the notes makes it well worth it".